The pharmaceutical and oil and gas industries would be the biggest beneficiaries from a comprehensive economic partnership agreement between India and the Union. The North-South corridor is also likely to get a fresh lease of life. 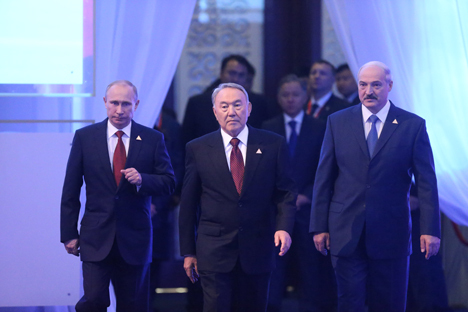 The signing of Eurasian Economic Union (EEU) agreement has created waves across the world with protagonists and detractors of the union speculating its future. The events prior to the signing of the EEU agreement, particularly the crisis in Ukraine, have made the debate intense. The EEU with its operationalization in the beginning of the next year will create a market of 170 million people, with a combined annual GDP of $2.7 trillion and a quarter of the world energy resources. As Putin pointed out, the Union will be a hydrocarbon treasury, possessing a fifth of all global natural gas resources and 15 percent of all oil reserves. It will be beneficial particularly for the former Soviet countries which have witnessed low growth, huge unemployment and surplus of labour. Russia may benefit from the surplus labour of the Central Asian countries. Many countries outside the post-Soviet space have expressed an interest to sign preferential trading arrangements with EEU. Prominent among them are India, Israel, Vietnam and New Zealand. Putin stated that an agreement was reached to set up “expert-level groups to work out preferential trade regimes with Israel and India.” India will be interested to have a comprehensive economic partnership agreement (CEPA) with EEU. It has signed CEPA with countries like South Korea, under which both the countries cut a large percentage of tariff on goods from each other. India’s gain from a CEPA with EEU will be mutual beneficial. As pointed out earlier, Putin has already signalled a partnership of EEU with India. At one to one level, India enjoys friendly relations with all the current members. Recently Kazakhstan invited India’s ONGC Videsh Ltd. to explore its Abai bloc for energy resources. India also recently signed a deal with Belarus to supply 500 tonnes of potash fertilizer. Its relations with prospective members like Armenia and Kyrgyzstan are also smooth. With Russia supporting a CEPA with India, there will likely be least objection. As EEU is going to have common pharmaceutical zone by 2015, India will have immense leverage if a CEPA is signed. India is a leader in pharmaceuticals and a preferential arrangement will be mutually beneficial. Other areas of cooperation will be energy and transport. The much hyped North-South transport corridor, when realized, will pass through much of the EEU – a CEPA will offer India a hassle free and preferential treatment to import and export goods through the corridor. Both India and EEU will avoid the long detour for trade if this corridor is operationalized. Add energy to this corridor idea, CEPA appears more meaningful. The Silk Road that passes from India’s north through Eurasia in all directions can also be revived and explored for multilateral trade between EEU and India.